A campaign that aims to build awareness of importance of trees. 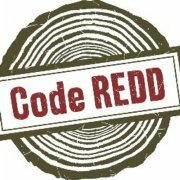 Code REDD is a nonprofit organization whose mission is to support and scale the Reduced Emissions from Deforestation and Degradation (REDD+) mechanism in order to realize its full potential to empower people, preserve forests, protect wildlife, and reduce emissions. This award supports Code REDD's 'Stand for Trees' campaign, an effort to create awareness of the role of forest ecosystems in climate change mitigation and generate meaningful revenue streams for REDD+ projects. Beginning in California, the project is working to integrate REDD+ into carbon markets, demonstrating U.S. leadership on climate action and the increased possibility for both developed and developing countries to meet their climate goals.